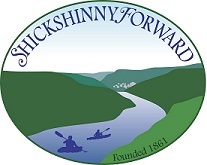 ShickshinnyForward | Shickshinny, PA 18655 – in the Five Mountains, a Susquehanna Greenway Partnership River Town. Shickshinny, PA 18655 – in the Five Mountains, a Susquehanna Greenway Partnership River Town. Unfortunately, due to insufficient volunteer capacity – our annual “Wheels in Shickshinny” is cancelled. Thank you to participants, local charities, volunteer ords, and local businesses who supported this event and gave it a great 5 year run. If any charity wishes to pick it up in the future – please let us know and we will gladly transition this. All – in order to give more time for holidays – our Executive Board has decided to cancel our last two executive board meetings for calendar year 2016. We will resume in January with a review of our annual letter, financials, and a determination on projects to pursue in calendar year 2017. Trick or Treat night in the Shickshinny Borough is Monday, Oct 31, 2016 from 5PM to 9PM. The borough is also hosting a Trunk or Treat at the Oak St Park – this event will start with a parade from the Municipal Building to the Oak St Park. Parade starts @ 530PM and progresses to Oak St. A prize will be awarded for the best decorated trunk. Registration Information & Tickets (click here… this is a free event at the Nichols Village Hotel & Spa, Clarks Summit, PA.
Are you looking for a way to help your community realize its potential and create a better future? Are you interested in uncovering what makes your community unique and using that to empower residents to take action? Do you often think that the true needs of the residents aren’t being heard or reflected in community planning efforts? Are you ready to build a team committed to strengthening your community’s capacity to meet challenges and uncover opportunities? The Pennsylvania Humanities Council (PHC) in partnership with the Orton Family Foundation invites you to attend a free workshop on Orton’s Community Heart & Soul™, method. A bottom-up approach, Heart & Soul aims to increase resident participation in local revitalization, using the humanities to gain a deeper understanding of community needs. The workshops are offered in collaboration with PA Department of Community and Economic Development, PA Department of Conservation and Natural Resources, PA Historical and Museum Commission’s PA State Historic Preservation Office, PA Chapter of the American Planning Association, USDA Rural Development, and North Central PA Regional Planning and Development Commission. How to apply for funding to support a Heart & Soul project. The grant opportunity is only available to those who attend the workshop and can support the coordination and planning of projects inspired by the Heart & Soul approach. Civic leaders – individuals and representatives of local government, community and economic development groups, civic groups, and other nonprofit and philanthropic organizations — are encouraged to attend with a team. Participants are urged to register with a team of 3 or more individuals who could take a leadership role on a Heart & Soul project. So that we can keep an accurate head count all team members must register. PHC has limited funds available to help defray travel costs for some teams that need to drive 2.5 hours or more to attend. Workshops are from 9:00 a.m. to 4:00 p.m. Breakfast and lunch will be provided. Register now! Seating is limited. If you would like to learn more about Community Heart & Soul before you commit to a workshop: PHC and Orton staff have prepared an hour-long informational webinar on to provide an introduction to the Heart & Soul method and preview the upcoming workshop. Watch the webinar. Contact PHC at program@pahumanities.org or 215-925.1005 or visitwww.pahumanities.org for more information.